The Tamal Yoga school is a 200hr yoga alliance certified course. Our teacher trainings are recognized world wide as one of the most comprehensive certification programs that takes a student from A-Z in yoga understanding and teaching. There are no prerequisites other than having an open mind and a thirst for knowledge. 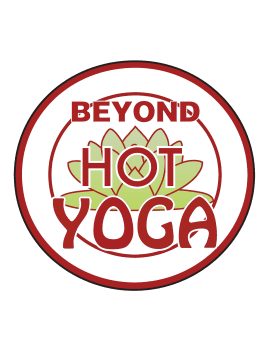 Sesa (Say-sha) O’Connor, ERYT (Experienced Registered Yoga Teacher) was born and raised in a family that lives and breathes true yoga, she grew up learning and practicing mantra meditation and yoga as a lifestyle. Having grown up living around yoga her whole life, she decided to go to college to get her AA degree in International Business. After graduating with honors, she soon found herself unexpectedly pregnant… This hiatus from the things that were primarily taking up her time and energy, college and surfing, Sesa was forced to return to her yoga roots. This is when she realized how important yoga was to her, and although her life experience and knowledge of yoga extends far beyond what a few hundred hour yoga certification course offers; always humble to learn more, she became a Yoga Alliance certified yoga instructor through Tamal Yoga School. Sesa wants to share the amazing life changing powers of yoga that have molded her into the – daughter, sister, mother, lover, and friend – she is today, with everyone. Tamal has been teaching yoga since childhood and was raised in a Yoga ashram since conception. He has traveled around the world teaching yoga and meditation and in so doing has experienced a wide variety of situations and personalities that has given him the knowledge and understanding of a seasoned yoga instructor. Tamal has written and published several books on yoga and composed many spiritual albums sold internationally. Tamal’s goal for every student attending his teacher training is to expand their knowledge and understanding of yoga while inspiring the desire to know more and keep their journey going for the rest of their lives.